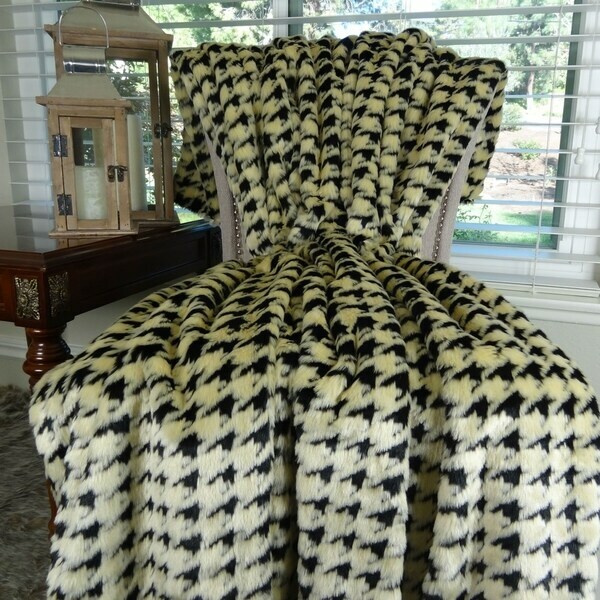 Indulge yourself with cozy warmth and luxurious comfort with this stunning houndstooth design faux fur. This super soft short pile faux fur is incredibly soft and plush in black and beige fur, with super soft microfiber backing. Dimensions 110.0 In. X 96.0 In. X 1.0 In.